Datel, a leading UK developer of accessories and add-ons has announced a Hard Disk Drive for the PSP which will add 4GB of storage space to your PSP, making it the ultimate media station. The hard drive will be built onto a powerful battery providing additional power for your PSP as well as using a small cable to attach the hard disk portion of the battery to the Memory Stick Duo slot. 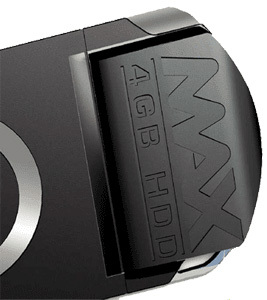 According to Play.com, the hard drive will be released on 28th October 2005 (Subject to change), and will come with a USB 2.0 cable and software for managing the media in your PSP.